The Ogio Savage bag lives up to its name by providing exceptional stability and lightweight characteristics. 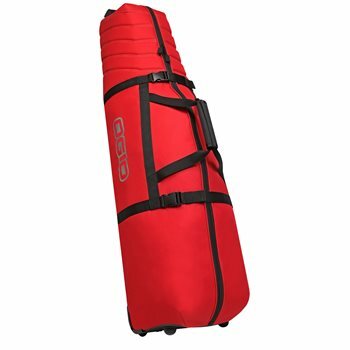 This durable, soft-sided bag includes inline skate wheels and powerful internal cinch straps to secure and transport sizes ranging from traditional stand bags to oversize tournament bags. The bag is also tip-resistant with twin outer pockets for accessories and weighs a very light at only 4.9 pounds.